I T A L I A N c o n f e t t i: Ciao to You! I feel so blessed to be in Italia and literally jump up and down almost every day that I will be living here for 2-3 years with my hard working husband who is based here for his job in the medical industry. Btw....check back tomorrow. I'll be doing some columns on travel tips to Venice, the new Ugg replacement everyone is wearing, a yummy bruschetta recipe from Laura Lui's Italian cucina and I'm also spilling what glossy fashion magazine I'm writing for at Milan Fashion Week this weekend. Ciao, Ciao. Yay yay! Love the blog. I'm excited to follow along. i am checkin in like every hour cause i know your time is different and i cant possibly wait!! Ciao Ciao! I can hardly wait for all of the amazing upcoming posts. 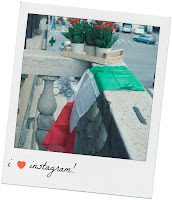 I'm thrilled you started this, what a fun way to see more of Italia through your artistic, stylish eyes!